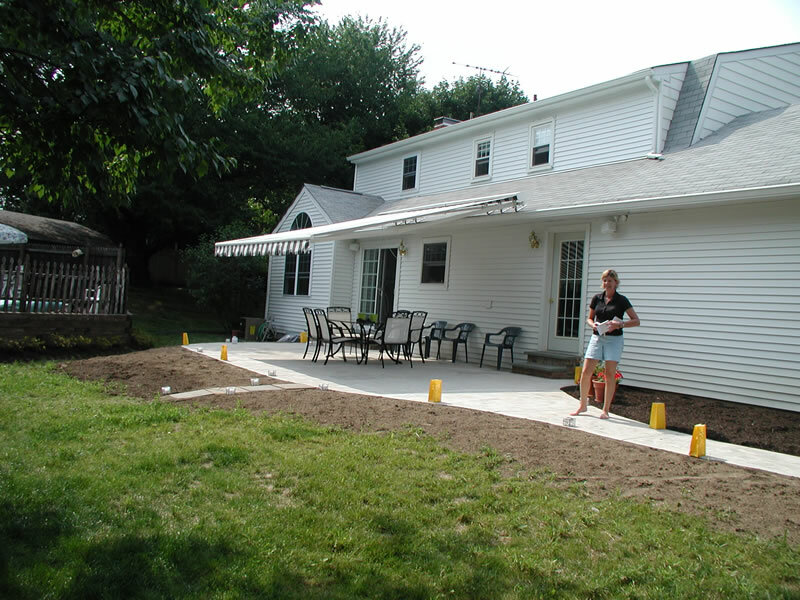 First floor was extended out six feet even with the garage wall in order to enlarge the kitchen inside requiring a new foundation wall and large paralam beam above the ceiling supporting the second floor and roof. 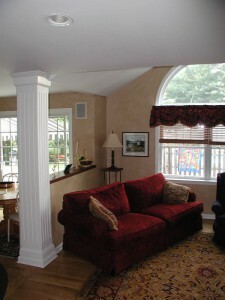 Column at left supporting beam above providing a stable smooth ceiling with beam invisible above ceiling. 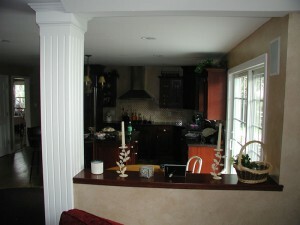 Half wall from column to back wall to separate little family room. Base of column below floor sits on a large thick concrete pad 36” below grade to insure no sag in the ceiling. 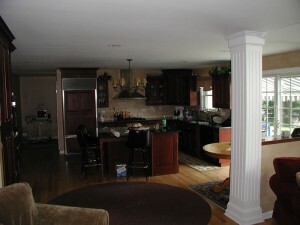 Existing flooring was removed to provide for new hardwood flooring throughout. 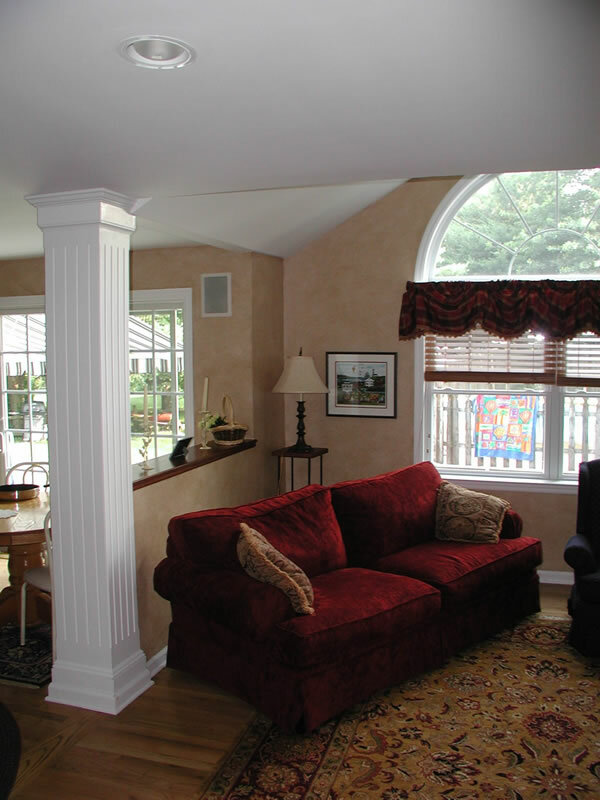 Beam carried all the way to the end of the house and the little family room was extended with a cathedral ceiling and a new window with a transom. 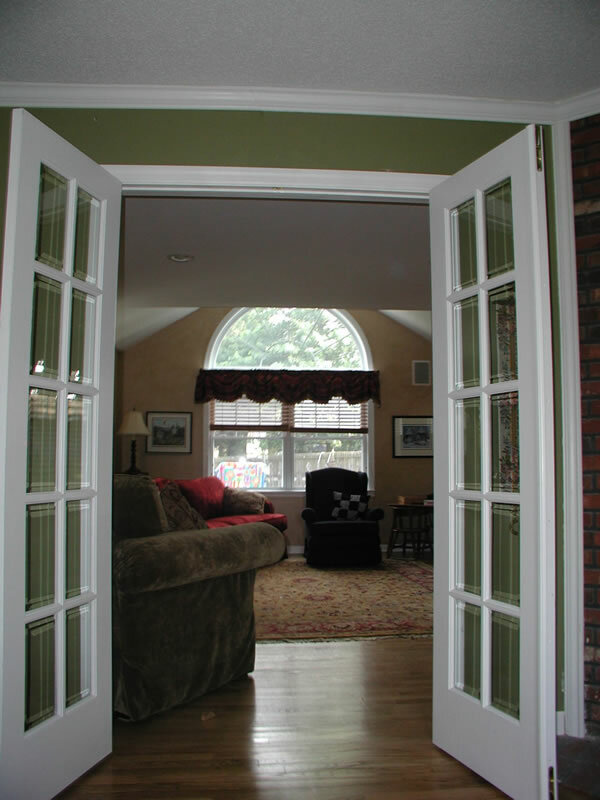 A double door was added between the living room and the small family room, requiring another beam to carry the opening. 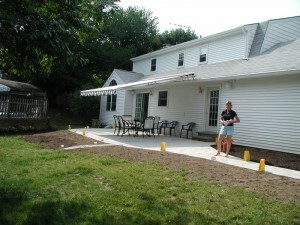 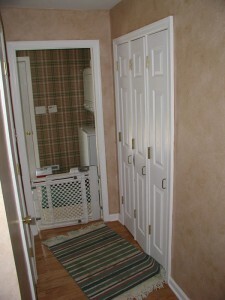 Walkway leading to the garage at left had been a doorway into the laundry area. 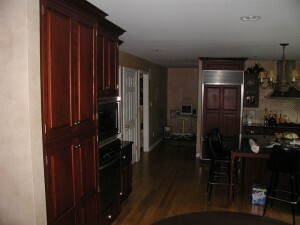 Finished kitchen leading into the dining room. 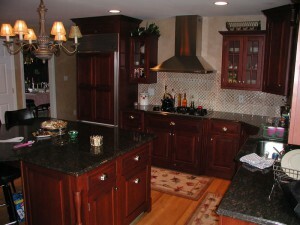 Cabinets provided by McDonalds Kitchens in Lambertville. 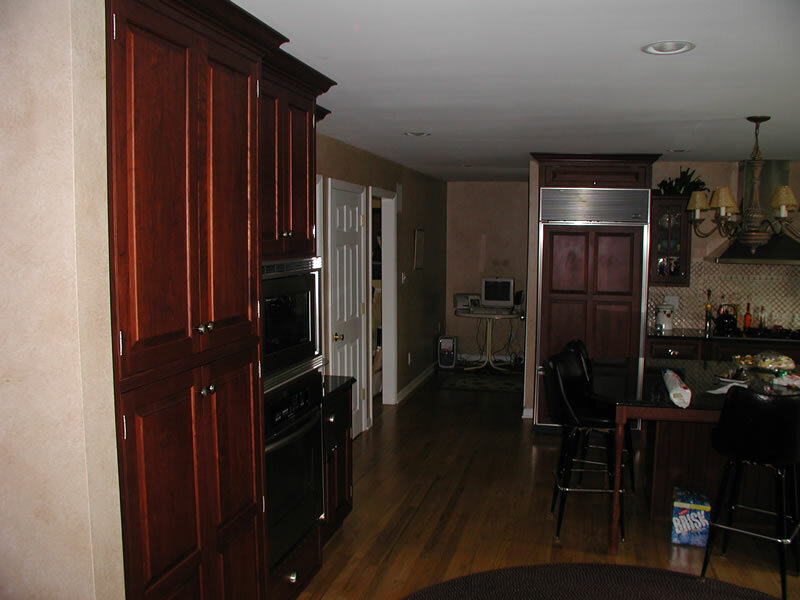 Added interior wall behind kitchen wall to provide lockers for the three children coming in from outside.